Nothing says Merry Christmas like some bright, new, sparkly baubles. 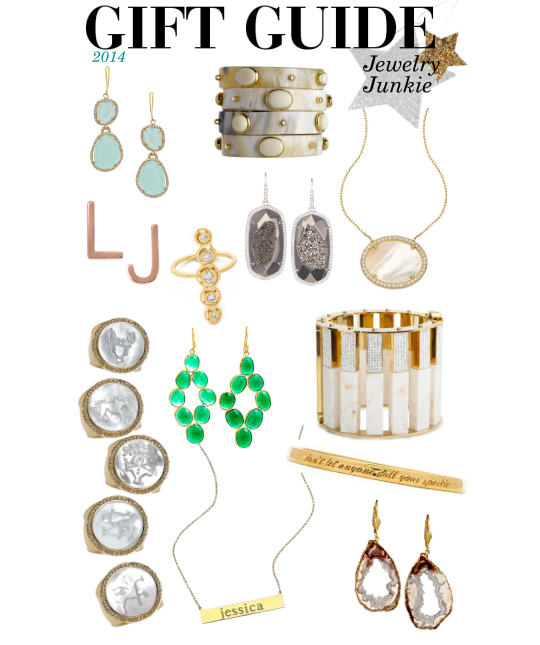 We've picked out a few of our favorite pieces and hope you kind find that something special for the ones you love! We are both huge fans of the ASHA collection and love our Zodiac rings. The entire Zodiac Collection make perfect and personal holiday gifts. Another beautiful stunner- this beautiful necklace by Charlene K. We love the Mother of Pearl and gold combo. If you are looking for an extra personal gift- We love this nameplate necklace by Sarah Chloe and this coordinate necklace from Baublebar.